Create different pictures with using one of accessories and play around with it. It could be anything what you have at home or outside (suitcase, trolley, toy, blanket, basket, and any activities what kids love to do). Choose it, place near kids (or place kids near this thing) and click the moments with lids playing with it, climbing in it, touching etc. Have fun! I just created some pictures at last weekend morning with my kids playing on the bed around the net. I not just captured what they been doing but also moved net around to create different frames, angles and out of focus images. You just give kids the opportunity to play and they happily cooperate with you! 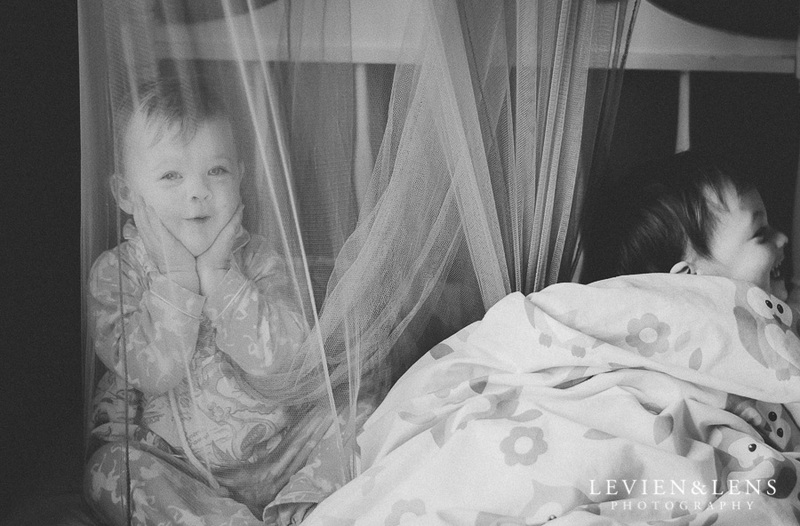 Heres the results of our fun morning with the net on the bed :) Sis and Bro!